Help Protect Rim Fire Habitat- Please Send your Email Today! 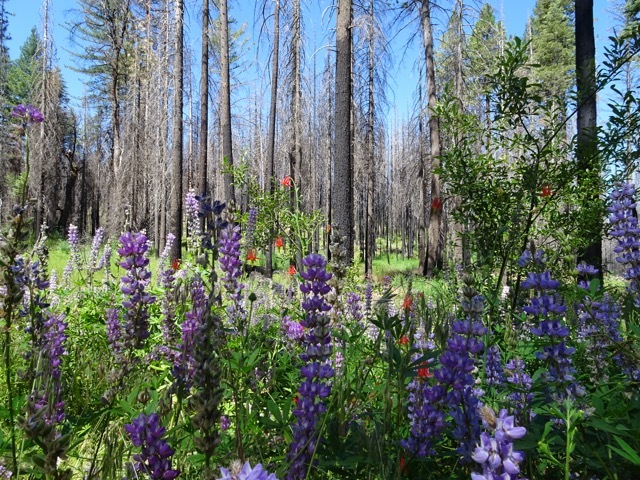 Habitat in the Rim Fire is under threat and we need your help today! A state agency, the Sierra Nevada Conservancy, is planning to use Federal taxpayer dollars, which were supposed to help communities recover from natural disasters, to log rich habitat created by the Rim Fire in remote areas of the Stanislaus National Forest. In addition to destroying this habitat – the logging would also destroy regenerating forests and would exacerbate climate change by immediately turning the burned trees into carbon emissions through burning in a biomass facility. What we call #Clearcuts4Kilowatts. You can help us save this resilient forests which is rich with native wildlife by sending a letter to the Sierra Nevada Conservancy Board and asking them to change course and leave these rejuvenating forests standing. Please fill out the form below – add any personal message you may have and press send! Just two minutes of your time could make a real difference for our forests, wildlife and the planet. Help Save Rim Fire Habitat - Send Your Email Today!